Audio cassette to mp3 computer and mp3 players. 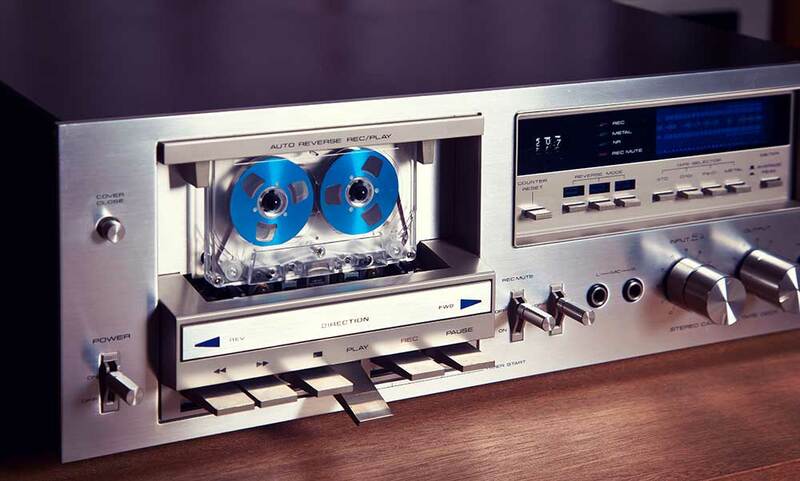 If you have one or maybe many old audio cassette tapes hidden away in a box round your house, why not let Video Image Productions convert them to Audio CD or digital files such as MP3 for your streaming devices at home. There are cassette players on the market today with USB outputs built in. These allow you to connect the deck to your home computer. some of these decks comes with software that capture the audio. Unfortunately many of these decks do not produce high quality audio playback. As with our reel to reel tape conversions. Here at Video Image Productions we employ very high quality Rotel cassette decks linked through Saffire audio hardware. This gives the best possible audio reproduction of your old audio cassette tapes. All of our audio connections are CHORD ensuring minimum loss of information during digitising of you tapes. Please note nearly all of these decks are no longer made. Reel to reel or whatever digital audio format you want we can provide for more information please contact us.